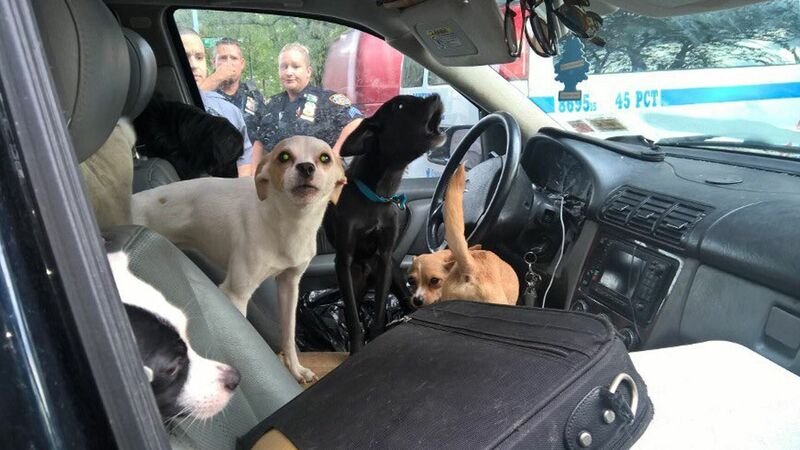 BRONX, New York (WABC) -- New York City police rescued 22 dogs this week that were found living inside an SUV in the Bronx. The Mercedes SUV was home to a German Shepherd and 21 puppies. Police said their owner was a homeless woman believed to be mentally ill. The Adore-A-Bullie Paws and Claws animal shelter said the dogs are all expected to recover, although one was discovered to have suffered from blood loss. Bobbi and the Strays on Long Island agreed to take in half of the dogs. 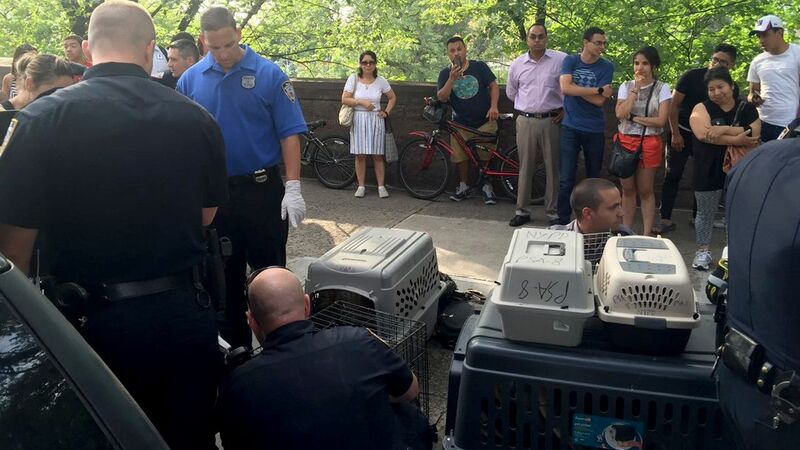 NYPD officers from the 45th Precinct also assisted in taking care of the dogs.